Editors of deceased poets’ collections of papers, essays and letters usually inhabit the background of the material and can be overlooked in the reader's enthusiasm for the topic. These editors are often friends or close colleagues of their subject. I’m interested in what might prompt someone to undertake the laborious and meticulous work of assembling a poet’s writings. Poets and other readers are fascinated by the biographical elements and the intimacy of what were once the private communications of their favourite, influential poets. And of course there is also diverse reception for their critical thinking and opinions about things other than the poetry. Each of the cover portraits, drawings and painting, are by James Schuyler’s friend, editor and literary executor Darragh Park. In 2005, having read the particular books, including James Schuyler’s letters which had just been published, I decided to ask three of Schuyler’s editors a series of questions about their motivations and processes and their connection with each other. 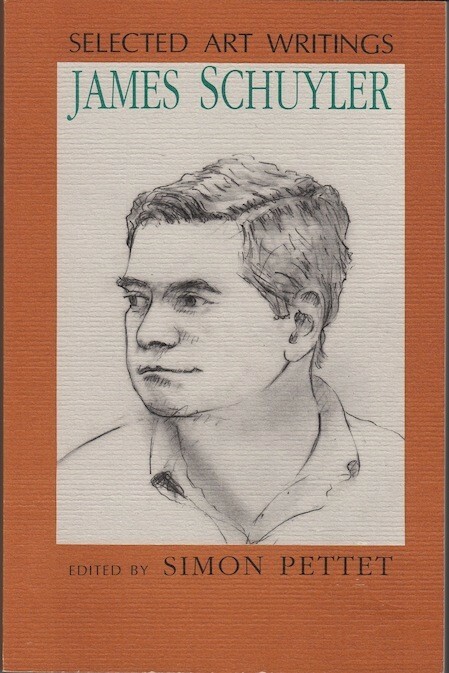 Simon Pettet, William Corbett and Nathan Kernan were gracious in their responses and we published the resulting questionnaire in Jacket in April 2006.